예술과 빵을 사랑하는 사람을 위한 ‹코테뮤제›는 음식으로서의 빵과 더불어 문화적 대상으로서 빵을 다루는 베이커리 카페이다. 문학, 그림, 영화 등 예술 작품에 등장하는 빵을 통해 다채롭고 흥미로운 이야기와 감성을 전달한다. 예술가들의 사교와 담론의 공간이었던 유럽식 카페 문화를 한국의 라이프 스타일로 확대하고, 미술관 옆에 위치하여 빵을 매개로 다양한 이야기가 오가는 새로운 문화의 장을 만든다. ‹코테뮤제›에서 시각이 풍요로워지는 예술을, 미각이 행복해지는 빵을, 마음이 따뜻해지는 대화를 느껴보자. For an artist, bread is more than just a daily meal — it is an object of art. 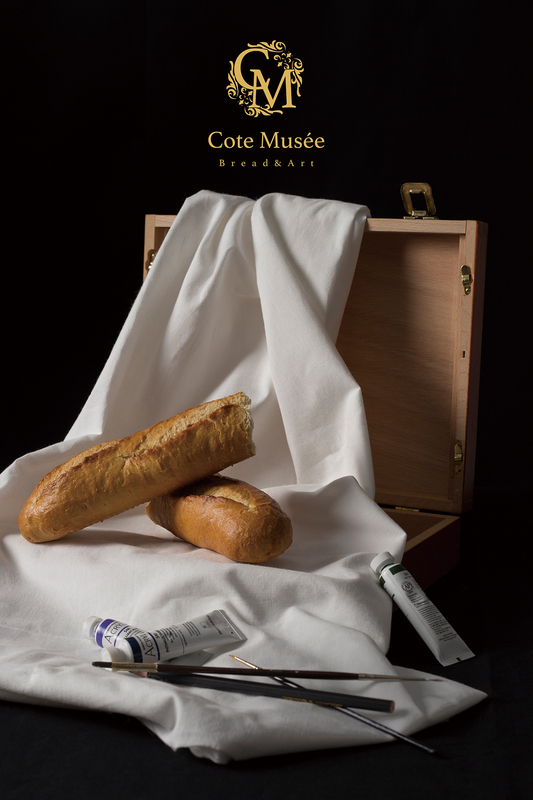 The bakery cafe ‹Cote Musée›, which means around the museum, considers bread as not only food but a cultural object. Come and enjoy the enriching art, taste our delicious bread and converse with the people who warm your heart.